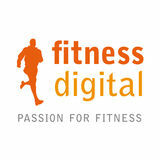 fitnessdigital was founded in 2006 in order to sell and distribute a wide range of fitness, strength, sport nutrition and wellness articles online. Over the years, fitnessdigital specialized in those fields and became a leading company and an example to be followed by other shops and companies that sell through the internet, a way to purchase that is more and more often used by consumers. With the help of this experience fitnessdigital expanded into an international European company trusted by thousands of clients all over Europe.